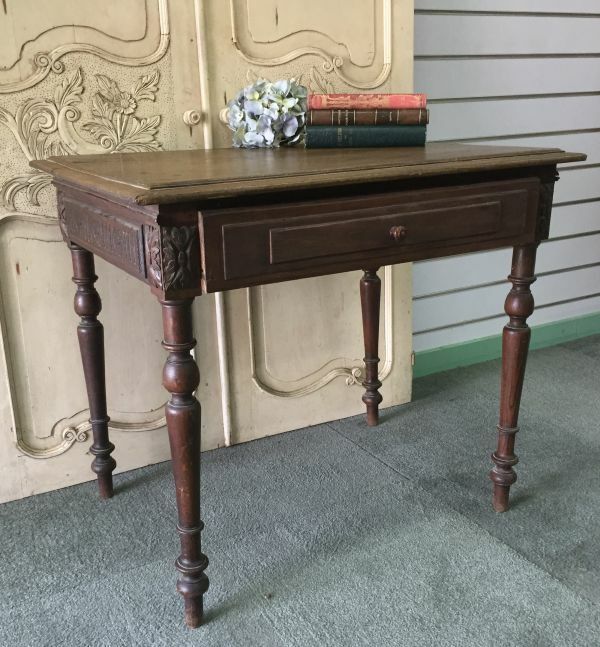 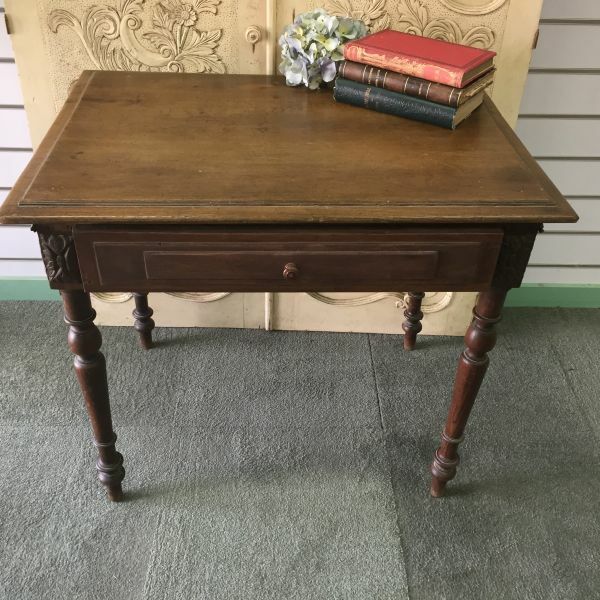 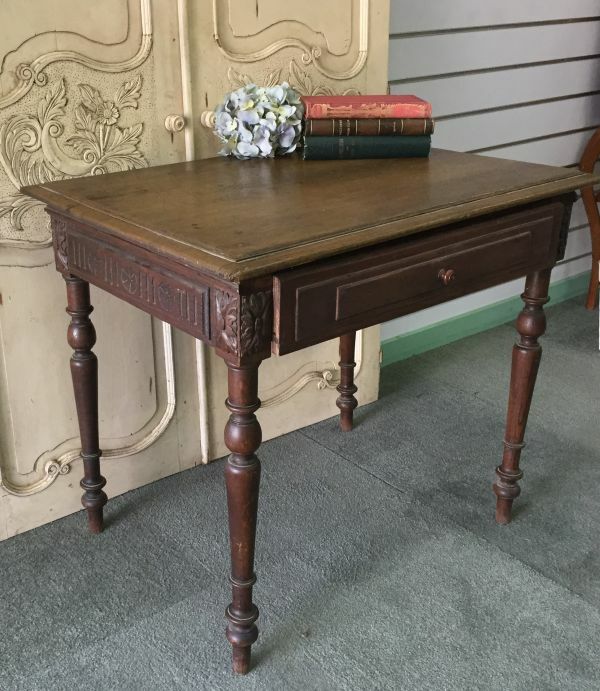 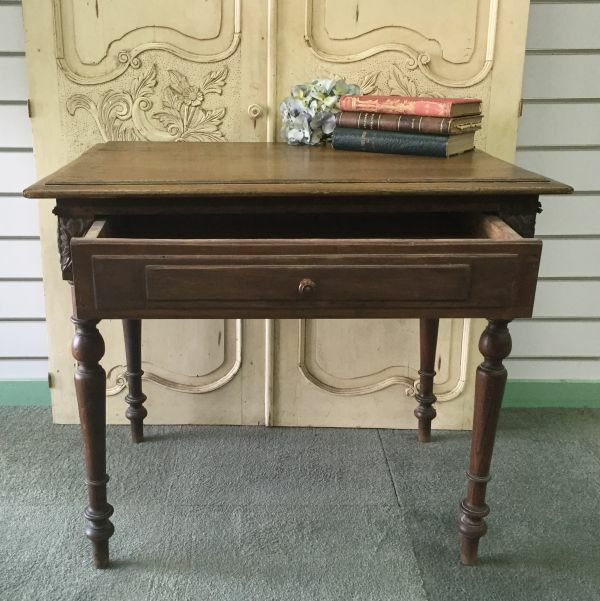 This beautiful antique chestnut writing table or desk was found recently in France. 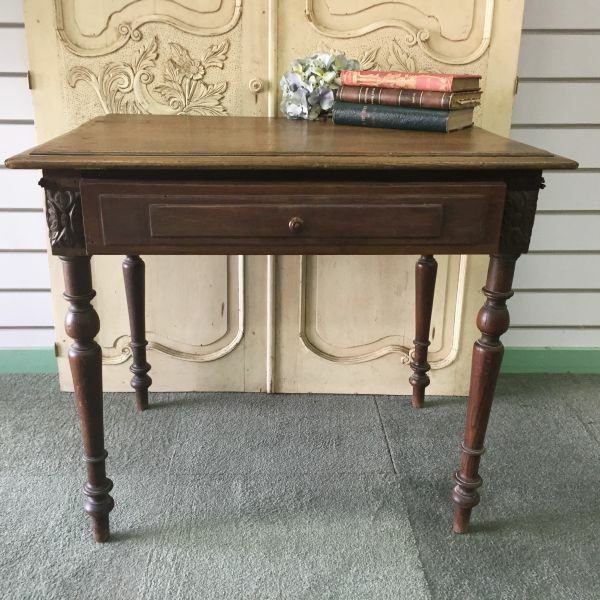 This is a genuine French antique and is a very pretty desk. 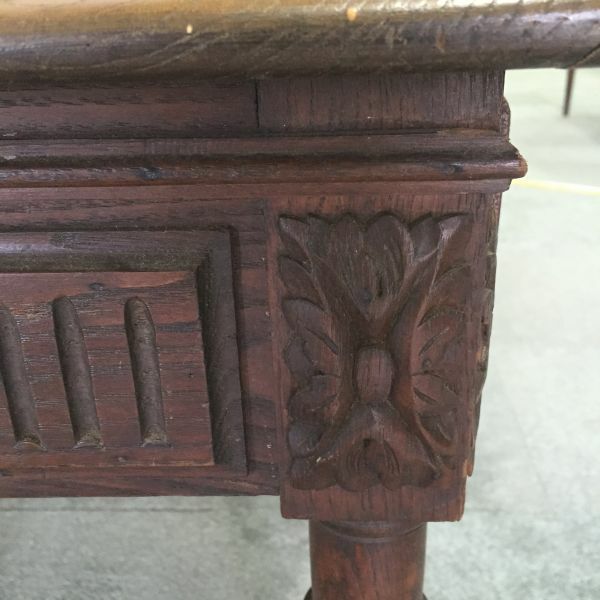 It is in very nice condition apart from a very small piece of trim off each front side above the carvings and under the top. 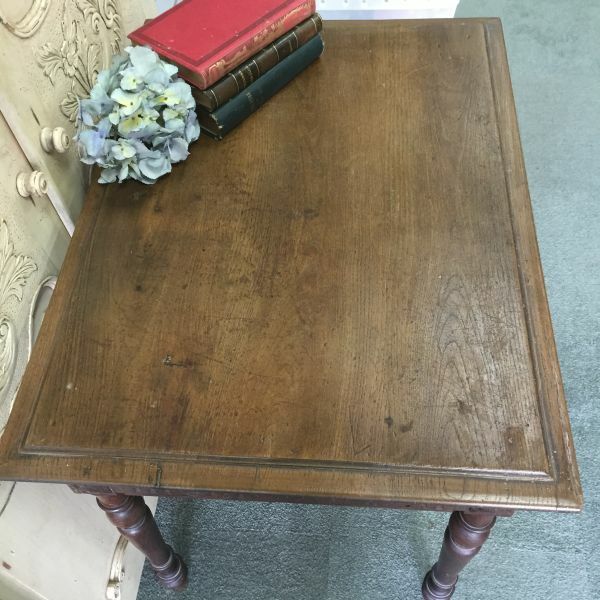 One photo shows this. 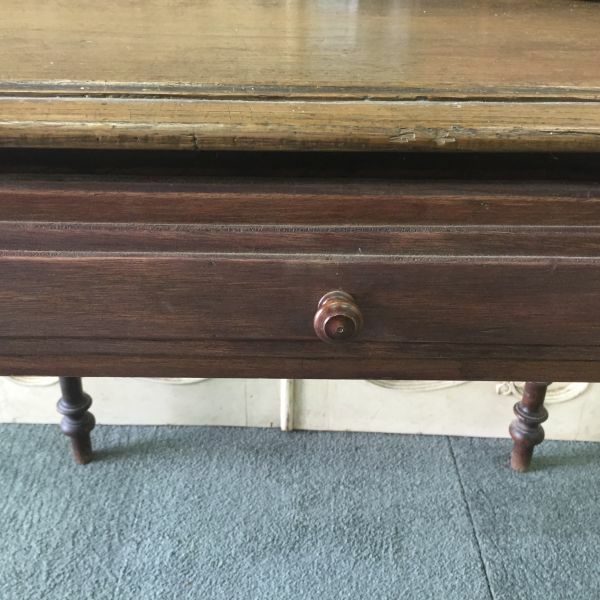 This is not really noticeable but would also be easy to replace. 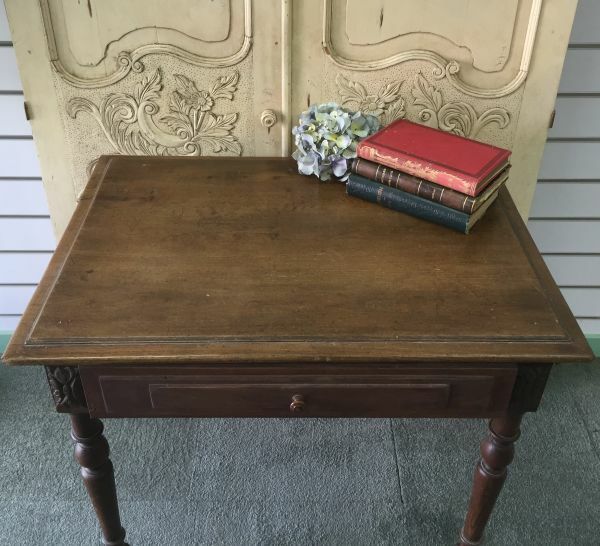 This is a lovely piece and quite rare. 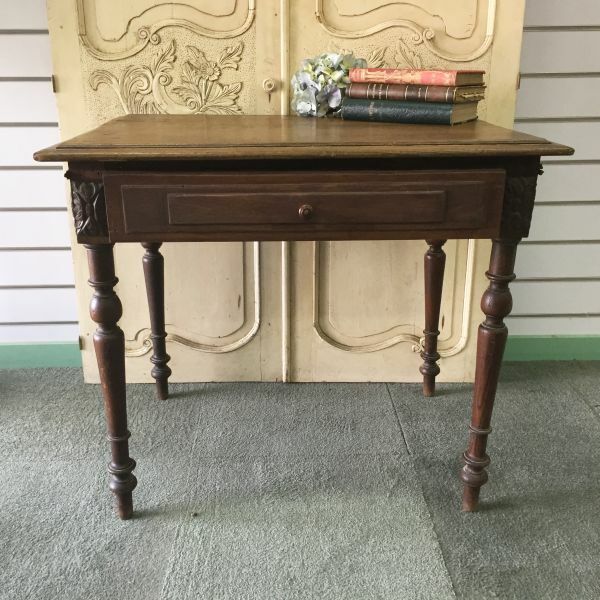 SIZE approx: 85cm wide x 62cm deep 73.5cm high - Knee height 58cm high.